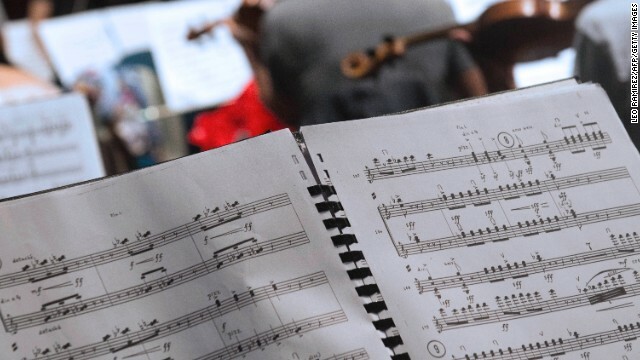 Music education isn't just learning Mozart, Andrew Schwartz writes: "It’s about learning how to think, rather than what to think." Editor’s note: Tuba player Andrew Schwartz holds a bachelor’s of music from the University of Hartford. He did graduate work at The Manhattan School of Music and is working on an MBA at Georgia State University’s Robinson College of Business, where he is president-elect of the Graduate Business Association. He is an intern at Atlanta-based music startup Tunefruit. 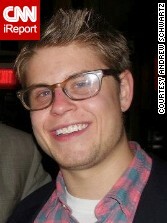 Schwartz's story first appeared on CNN iReport. (CNN) - It’s no secret that education in America is broken. We can’t define a good school, let alone figure out a way to measure success. Yet when money is tight, as it is right now because of the forced budget cuts, the first thing to be cut is always the arts. And that’s a tragedy. But through that transition, I’ve realized why music needs to be a cornerstone of education. Music is an art and a science, and it's one of the best ways kids can learn creativity and those mythical critical thinking skills. The focus of the curriculum isn’t forcing everyone to learn about Bach or Mozart. It’s about learning how to think, rather than what to think. An amazing musician once said to me: “Make it happen." Before I went to business school, my classmates and I always related the music to something else. Wagner’s intense “Ride of the Valkyries” is a waltz, which makes it fundamentally no different from Diane Birch’s “Photograph,” except that you're more likely to hear Birch in the background at a coffee shop. What you know about one thing can apply to the other. The deeper you go, you can make different links. Everything in life connects. What life lessons did you learn in music class - or maybe biology, calculus, English, gym, or even underwater basket-weaving? Share your story in the comments! I completely agree with Andrew's article. As a journalism major, I still take music classes outside my university because the music somehow gives me clarity, serenity and a structure that I use to focus on my regular curriculum. It is truly a shame that music education is not seen as a necessity to discipline the minds of young children. Just want to say your article is as astounding. The clarity on your submit is just nice and i could think you are an expert on this subject. Fine together with your permission allow me to grasp your feed to keep updated with coming near near post. Thanks one million and please continue the gratifying work. Move people. Make them cry. Make them want to lift their arms and feel what you are singing (or saying). Choose your music or your words to connect with people's emotions and they will want more. Reblogged this on matt torcellini | human. I learned in band that I can have fun with my friends doing something at which I'm not very good. I had no intention of devoting the practice time that Andrew did. I enjoyed running and math more but marching band was fun. 8 steps equals 5 yards. It was math and athletic and my band friends got my jokes and my teachers tolerated my sense of humor and tried to teach me despite my musical mediocrity. Years later I realize why I got up so early to practice marching and playing on a cold, dark high school parking lot. It was fun. Andrew...I do believe I know you! CTEW – Tuba/Trumpet retreat? You're a great tuba player and now I see you are a great writer. I'm privileged to know you and continue to wish you the best. OH! and without hesitation I agree with you. I always thought my good driving record was in part because of my involvement in band and orchestra. It's a matter of reading what the folks around you are doing and anticipating smooth movement that gets everyone to the "fine" without a crash. I am inspired by this blog post to write my own about the same subject. I think about my life as a musician every day and what it taught me about learning, priorities and life. I love what I do now, but I wouldn't trade my years as a musician and the discipline, process, hard work and creative expression that it taught me. I have those experiences to share with students and those experiences to help others learn. The points of view were good and honest.. inspiring.. My take is music will find its way just like life.. they are not inseparable.. I tell my students that no other life activity has you deal with so many variables at one time: note reading, rhythm reading, keeping tempo, watching for accidentals, articulations and dynamics, keeping pitch, remembering to breathe and use air wisely and responding to others by adjusting to pitch, tone and dynamics on the fly. The more advanced student has the added concerns of phrase shaping, coloring the sound, changing the vibrato speed and amplitude, playing in "the zone", focusing on stage presence, and cuing the other musicians, all while coordinating the tongue, air and fingers in a technical passage to within the smallest fraction of a second. I have often wondered as to which side of the brain got the greatest workout- it seems to be an even match between logic and artistry. Amen...glad to see there are some young folks who actually "get it"...bravo...what a great educator!!! now, all that needs to be done is implementation...the truth be told!!! Wow! Great article and comments! I've been thinking about the ability of music to reach all of mankind. It is one of the basic ways we have of communication between every human being. Rhythm is innate in nature as is balance, pattern - so much more that music encompasses. It also makes connections between every discipline - even the physics of the overtone series, pitch, volume, and tone color. There are few disciplines that are so grounded in math that also provide Maslow's peak experiences. If taught well, it also prepares students for life as the author states. Students must learn self-discipline for practice, and the profit of reaching long-term goals, as well as working with others to achieve a mission. They must think to play a musical work - what is the tempo, what is the rhythm here, how should this melody be interpreted, is this the most important part of the piece, is this the most important part or a supporting part of the instrumental blend, where should I take a breath - all these thoughts must be brought together in real time, and many more - yet, most important, how can I communicate the absolute beauty of this music and help my audience to feel? As I began –wow! "But through that transition, I’ve realized why music needs to be a cornerstone of education. Music is an art and a science, and it's one of the best ways kids can learn creativity and those mythical critical thinking skills." While I don't disagree that music can teach creativity and critical thinking skills, it does not need to be a cornerstone of education - putting aside the impractical nature of such an idea, it's just not necessary. What you fail to mention is that the other humanities disciplines, and the social sciences, also offers a path towards being creative and thinking critically. History, English, Psychology, and so on and so forth, are all perfect for this goal. Business and the hard sciences, including Computer Science, aren't as good at this (or almost entirely fail), and it's a major reason why humanities and social sciences need to be a cornerstone of our education - of which music is certainly a part of. I'm going to assume that you were just writing without thinking clearly when you said that music didn't need to be a cornerstone of education in one sentence and then immediately followed that by saying, "humanities and social sciences need to be a cornerstone of our education – of which music certainly is." What I'm going to assume you meant to say is that music, while an excellent way of teaching creativity and critical thinking, is not the only way to learn these skills. I would take issue with your statement that music is not necessary. This article is expressly describing why the writer feels it is necessary. And I would agree. Think of all the ways in which music influences your life every single day....movies, TV, hit songs on the radio, religious services (and I could keep going)....now tell me that music isn't necessary. What would life be like if there was no music? While intense study of music my not be everyone's cup of tea, I don't see how a basic understanding of such a pervasive element of culture isn't necessary (or at least very valuable). The ancient Greeks (not to mention almost every serious proponent of education reform) live by the idea that "the arts" (dance, music, theater, visual arts) are integral to education; not only for the benefits described in this article, but because the arts are the stronghold of culture. What is a society without culture? That answer would be very scary. For a group to work together as a whole they must listen to each other as well as play their own part.